A city as old as Paris is always going to be filled with treasures from the past. To help you find the perfect vintage keepsake to take home, or one-of-a-kind design piece to set your apartment apart in the style stakes, we’ve put together a definitive guide to antique shopping in the French capital. Read on to find out our pick of the city’s high-end dealers, quirky secondhand stores, permanent and ephemeral markets, and auction houses. Traffic circles don’t get prettier than the Place de Furstenberg in Saint-Germain-des-Prés. Just next door to the Musée national Eugène Delacroix, which occupies the former home of the Romantic painter, you’ll find Yveline Antiquités. 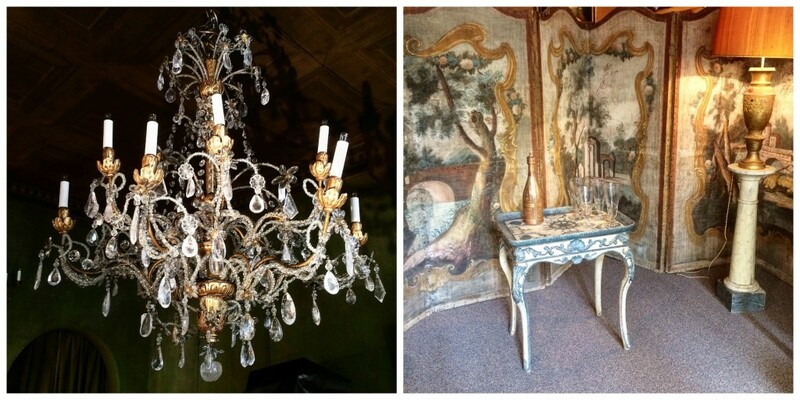 This luxury antique dealer was founded by the eponymous Yveline in 1954 and today is run by her granddaughter, Agathe. A discerning eye is clearly genetic: the gallery has an unrivaled reputation for exquisitely constructed furniture, remarkable artwork, and charming curiosities from down the ages. Open Monday, 2:30pm to 7:00pm, and Tuesday to Saturday, 11:00am to 7:00pm. Nicolas and Alexis Kugel are fifth-generation antique dealers, whose family expertise in the domain of clocks and watches stretches beck to Russia and the end of the 18th century. Today, the Galerie J. Kugel occupies a mansion built by architect Louis Visconti in 1840 for the director of La Monnaie, Jean-Pierre Collot. The eclectic range of superb antiques, from the medieval period up to the 1850s, includes furniture, silver, jewelry, scientific instruments, and Russian art. The gallery also hosts regular special exhibitions, the most recent of which is the largest collection of Renaissance automaton clocks ever assembled. Open Monday to Friday, 10:00am to 1:00pm and from 2:30pm to 6:30pm, and on Saturdays by appointment. Free exhibition open Monday to Saturday, from 10:30am to 7:00pm, until November 5, 2016. 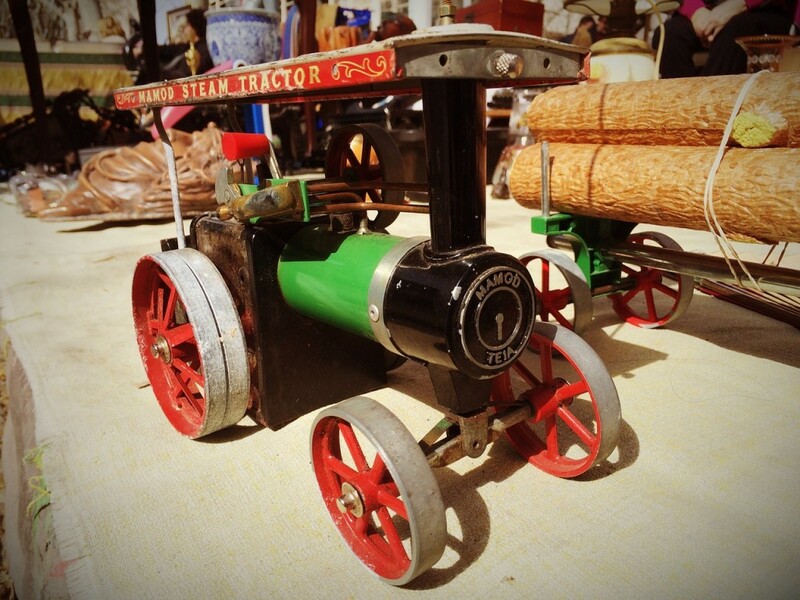 La Tortue Electrique is a store that mainly trades in vintage trinkets and toys. Rummage through its cabinets and you’re likely to unearth wonders like antique chess sets, fabulously creepy marionettes, vintage playing cards, old-school magic trick materials and French games from the 19th century, which may seem obscure to foreigners at first but will no doubt occupy many of their future rainy afternoons. The store also carries a range of jewelry. Open Tuesday to Saturday, 2:00pm to 6:00pm or by appointment. A favorite of interior designers on the prowl for attention-grabbing pieces, Zut! 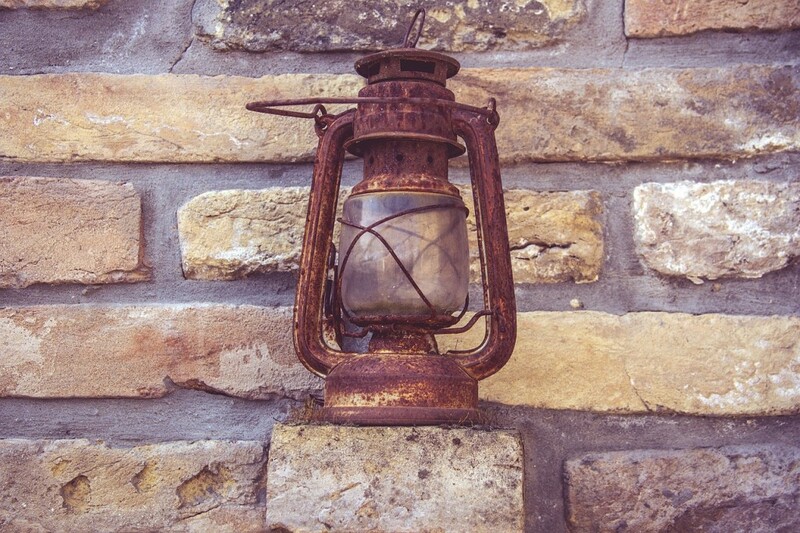 specializes in repurposed industrial furniture and décor: mine carts reborn as coffee tables, cast iron factory workbenches getting a second lease on life as chests, and an amazing selection of lamps to brighten up the edgiest homes. Sourced from antique fairs and collector’s markets across France, and dating from the first half of the 20th century, the collection also includes globes, figurines, and plaster casts. Open Wednesday to Saturday, 11:00am to 1:00pm and 4:00pm to 7:00pm, Sundays mornings, and by appointment. Le Village Saint-Paul is an essential part of the fabric of Le Marais, and one of the prime reasons why this neighborhood draws people back to its winding, historic streets year after year. Renovated in 1979, it is a network of courtyards and passageways between the rue de Rivoli and quai des Céléstins, comprising more than 80 antique stores, design studios, and art galleries as well as a host of cafés and restaurants. 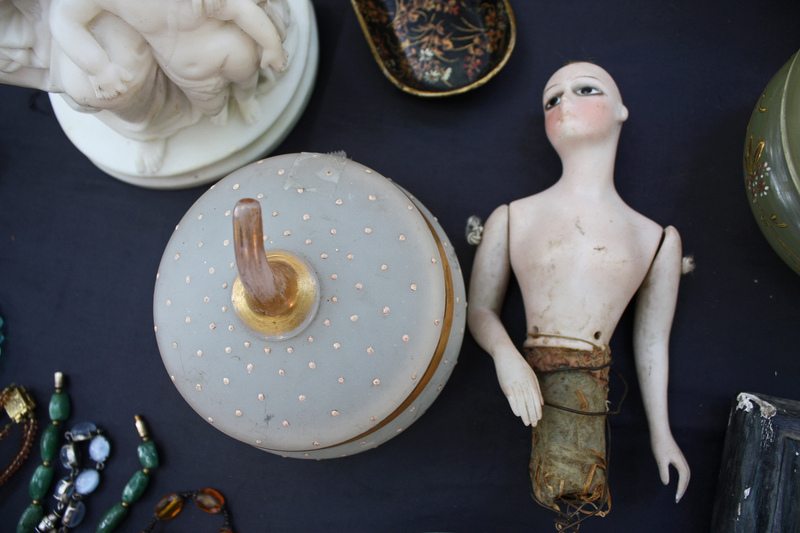 There is also a special vintage market on the first weekend of the month throughout the autumn and winter. Though it is worth a nosey on any day of the year, the best time to visit is at the weekend when the majority of the shops are open. The Carré Rive Gauche is Le Village Saint-Paul’s Left Bank equivalent, just a five-minute walk away across the Pont Royal or Pont du Carrousel. Historically, this micro-neighborhood of 17th and 18th-century hôtel particuliers, which grew up on the grounds of Marguerite de Navarre’s private gardens, was a favorite haunt of Charles Baudelaire, Alexandre Dumas, and Amadeo Modigliani. The sensational array of antique dealers have over the years supplied the MET, the Musée du Louvre, and the Musée d’Orsay with archeological pieces, furniture, and other works of art. Pay it a visit and rub shoulders with the most esteemed curators and collectors in the world. Just outside of Paris, at the northernmost meeting point of the 17th and 18th arrondissements, is the Marché aux Puces de Saint-Ouen. This collection of 14 markets, each with its own distinct character and specialty of era or objects, is actually Paris’ most visited attraction, with more than 11 million people making the journey here each year (five million more than the Eiffel Tower). Set aside a day to walk up the rue des Rosiers and in and out of the antique dealers, artisans’ workshops, and exhibition spaces along its length. There are also numerous cafés, restaurants, and bars on site to keep your shopping engines fueled. Open Saturday, 9:00am to 6:00pm, Sunday, 10:00am to 6:00pm, and Monday, 10:00am to 5:00pm. Every weekend of the year, come rain or shine, 380 traders gather along two streets in the 14th arrondissement to flaunt their wares. 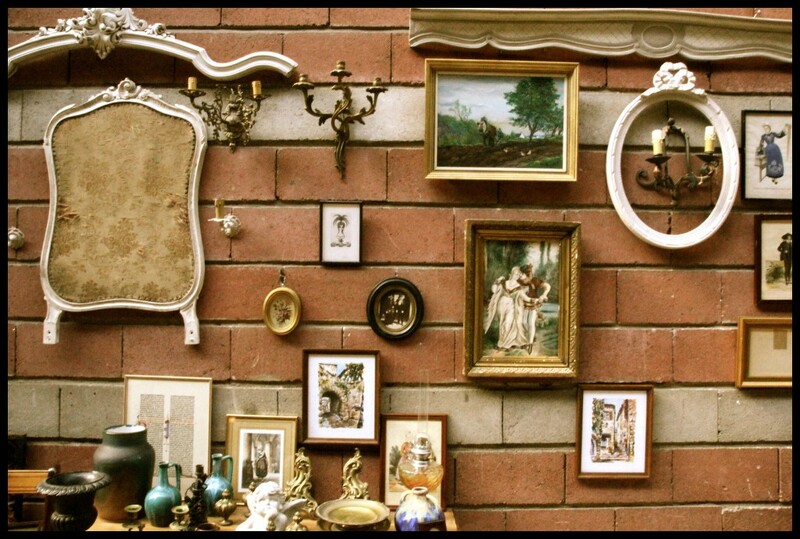 The furniture and artworks on offer at Les Puces de Vanves date from the 18th century to the 1970s, and include such diverse finds as garden furniture, gramophones, and glassware. There are also plenty of used books and magazines, photographs, and clothing to rifle through. This lively market attracts bargain hunters of all varieties, and it’s not unusual to spot a few celebrities having a poke around its stalls. Open Saturday and Sunday, 7:00am to 2:00pm. The Puces d’Aligre is another Paris street market. Its 40 resident traders are out every day of the week except Mondays and offer a massive range of products from extravagant, gold-framed paintings to used children’s toys. Streets all over the city are transformed into similar markets for short periods of time throughout the year. To see which ephemeral markets are going on when you’re in town and looking for a bargain, check out the full listings here. Open Tuesday to Sunday, 8:00am to 2:00pm. Place D'Aligre Paris France. This particular flea market happens once a year!! Drouot is one of the oldest public auction houses in the world, opened on June 1, 1852. This Paris institution brings together 74 auction houses in 16 antique halls, all under one roof. In total, more than 2,000 dedicated professionals call this place the office and are on hand to advise you in your purchasing. Over 500,000 pieces are auctioned each year and daily visitor numbers regularly exceed 5,000. Sales usually begin at 2:00pm, and you can check out the website to see if there’s one on before you visit. Open Monday to Friday, 11:00am to 6:00pm, the first Saturday of every month, and certain exceptional weekends.